Everything you need to get started with a turn-key 32″ touchscreen digital signage package. 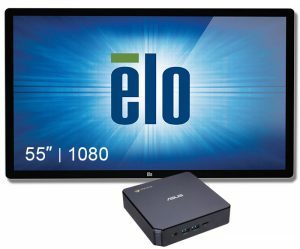 ELO 3202L 32-inch interactive digital signage touchscreen delivers a professional-grade large format display in a slim, integrated package. Designed from the bottom up for retail, hospitality, healthcare and other commercial markets, the ELO IDS is a high-quality, interactive canvas for attracting and engaging consumers. 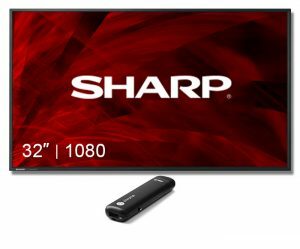 At 2.43 inches (61.6 mm) thin, the 3202L is compliant with the ADA and IBC requirements of less than 4-inch protrusion for wall-mounted products when used with a compatible wall-mount. With a 500 nit LED panel, the 3202L is a bright, high quality display suitable for public environments.